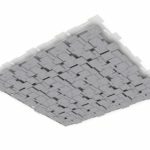 * Contact your local sales representative for pricing. 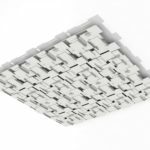 SoftPlanes® products are preconfigured solutions designed with a dynamic array of criteria and effects. 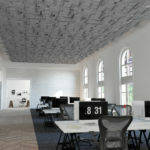 Choose from the many options in our library to uniquely impact your project. 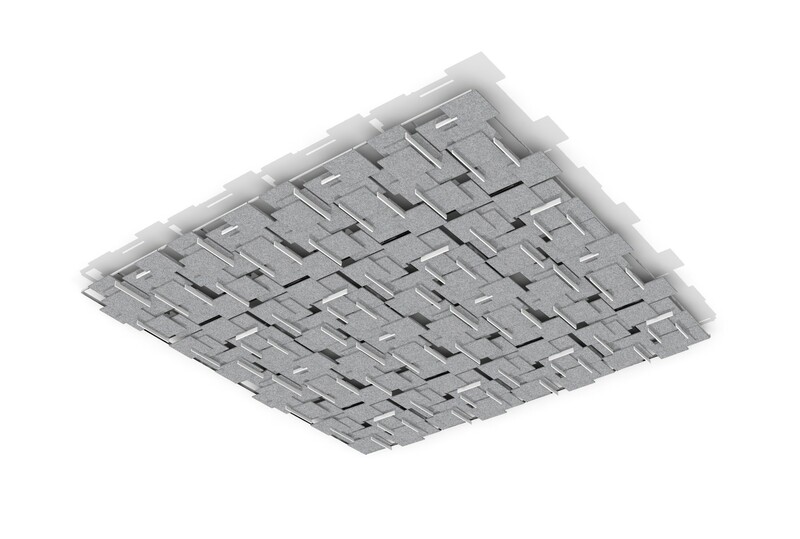 Equipped with a one-half inch thick Soft Sound® backer panel, the system can provide an NRC rating of up to .9. 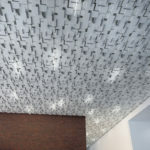 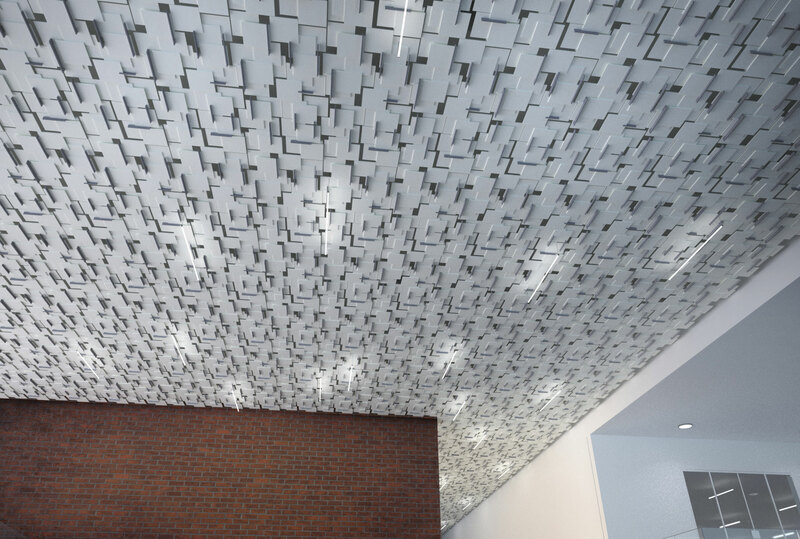 Couple that with the open, laser cut graphic metal panel and you can achieve amazing acoustical performance across an entire space or simply over a desired zone. 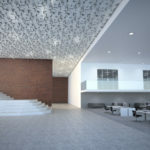 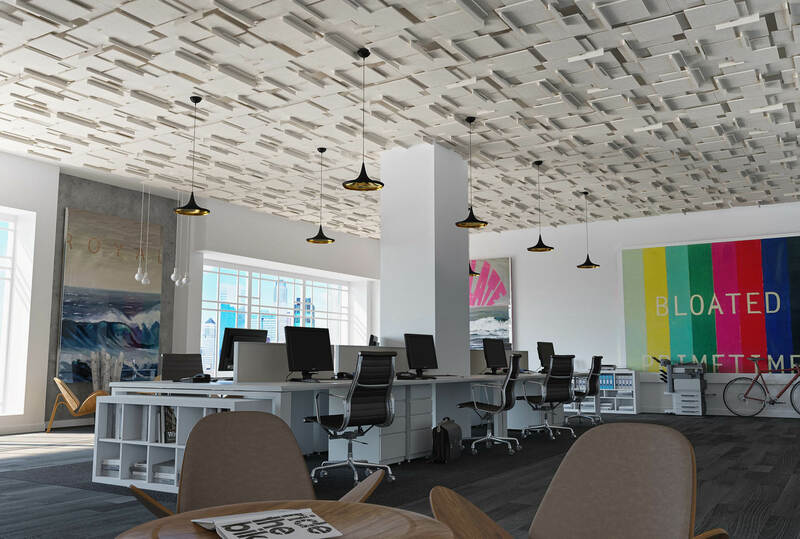 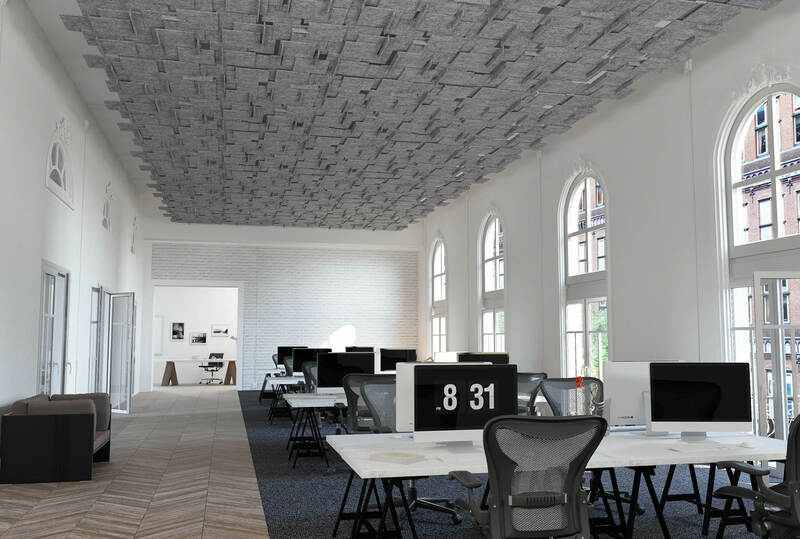 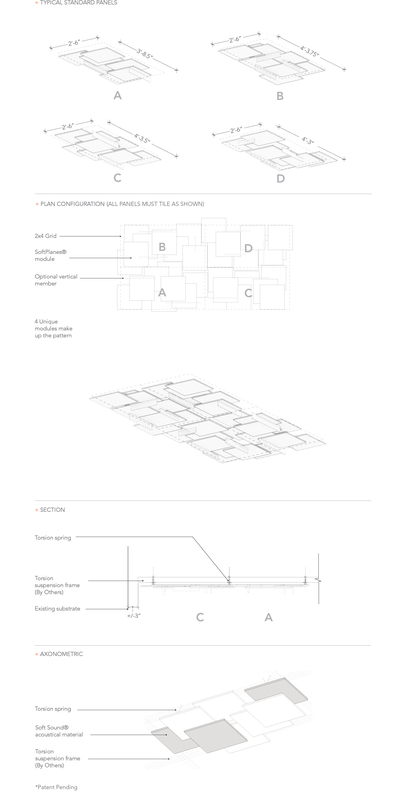 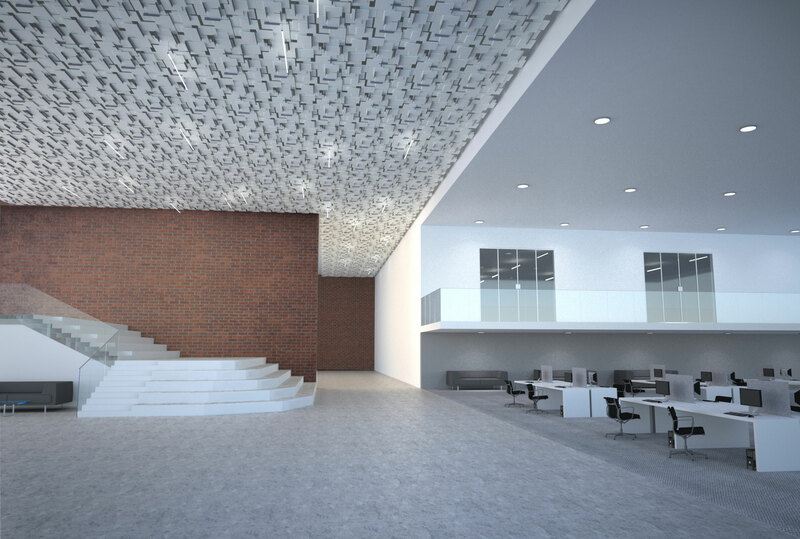 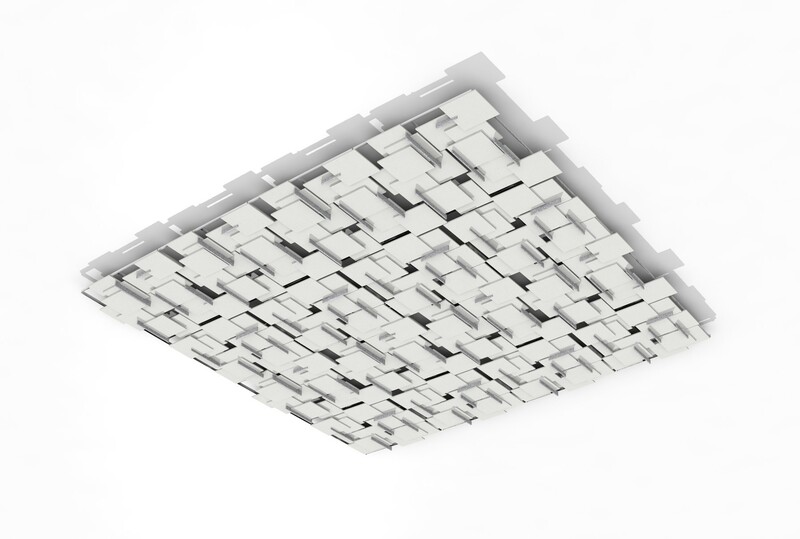 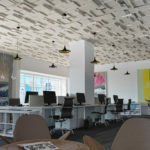 Our team will integrate the ceiling modules into all aspects of its environment allowing lighting, sprinklers, and AV equipment to be integrated into the overall design. All of our SoftPlanes® materials have a high proportion of recycled content and are fully recyclable.